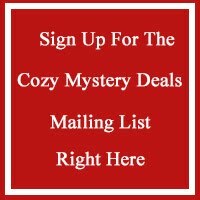 What got you interested in writing Cozy Mystery books? As many of my readers, I was an avid reader as a child. I loved so many children’s classics including mysteries. Thanks to libraries at school in the neighborhoods where I grew up in San Diego, even children in families with little money had access to The Trixie Belden, Nancy Drew, and The Hardy Boys mysteries. I was so proud of my library card and remember how astonished that I could take a stack of books home and read them for free! When I grew older, I added classics written by Agatha Christie, Sir Arthur Conan Doyle, Elizabeth Peters, Dashiell Hammett, Raymond Chandler, Edgar Allen Poe, Daphne du Maurier and so many others. More recently, I’ve added tons of new authors into the mix: Sara Paretsky, Sue Grafton, Janet Evanovich, Dorothy Gilman, Lilian Jackson Braun, Rita Mae Brown, and dozens more. Until recently, I didn’t think much about the distinction between “cozy” and “traditional” mysteries, but I love to read books in series with interesting lead characters—especially those that star amateur or accidental sleuths. I also enjoy mysteries featuring exotic locales, witty dialogue, interesting plots, and a big dose of fun. Food and adorable pets like Asta in Dashiell Hammett’s Thin Man series and Lilian Jackson Braun’s Koko and Yum Yum in her “The Cat Who…” series add to the fun. Tell us a little about the Jessica Huntington series. The Jessica Huntington Desert Cities Mystery series features a 30-something accidental sleuth with a background that’s entirely different from my own. She’s a child of privilege who grew up as an only child. I’m the oldest of 5 children in a family where there was never lots of money. I thought it would be interesting to imagine the struggles confronting a woman born with a silver spoon in her mouth when her well-planned world suddenly turns upside down. A little spoiled, life unravels around her when a ruthless husband dumps her and her law career tanks. Jessica’s wallowing in a pity party, trying to drown her sorrows in shopping sprees, spa trips, and other self-indulgences when life throws her another curveball. In the first book of the series, A Dead Husband, someone murders her best friend’s husband. Jessica’s friend, Laura Stone, is at the top of the list of suspects. Like most amateur sleuths, Jessica’s soon in way over her head as she tries to help her friend and find out who killed Roger Stone. Jessica has a quirky set of friends as sidekicks who become embroiled along with her in more murder and mayhem in the four books that follow. A self-proclaimed “calamity magnet” she seems to attract “lowlifes living the high life” as she’s pulled into one murder investigation after another. Family dysfunction, infidelity, murder, and mayhem--what else can you expect from members of the rich and famous in Jessica Huntington's social circles? I loved writing this series because over the course of the five books [A Dead Cousin--for release September 26th] there’s lots of room for character development. Not just Jessica, but the friends and family around her grow and change as the series unfolds. For Jessica, that means dealing with family issues, restarting her law career, and taking another chance on romance. Because I worked as a chef, my characters always eat well. Plenty of good food’s essential to the camaraderie between Jessica and her friends. Jessica’s life gets even more fun when Anastasia joins the sleuthing team in A Dead Mother. Also, tell the readers about the Georgie Shaw series. Also, like me, Georgie loves chocolate, Siamese cats, and the California coast. In her fifties, she’s a mature woman who’s made a stable life for herself. Unlike me, she stayed with the Marvelous Marley World. I gave in to my inner nerd, left Walt Disney World, earned a Ph.D. and spent 30 years as a behavioral scientist. Also, unlike me, Georgie isn’t married. In her fifties, she’s settled into life as a single, career woman. Suddenly, all that changes in book 1, Murder at Catmmando Mountain—there’s a murder at the foot of Catmmando Mountain in Arcadia Theme Park and someone is trying to frame Georgie for it. When Georgie Shaw met Detective Jack Wheeler it was love—and murder—at first sight. Those old Thin Man movies featuring Dashiell Hammett’s book, is a significant source of inspiration for this series. I love getting these two into trouble and watching them go to work as a couple to figure out whodunit. They don’t have the spunky wire hair fox terrier, Asta at their side like Nick and Nora Charles. Instead, Georgie and Jack are “owned” by two sweet and lovable Siamese cats--the mouthy Miles and his more melodious companion, Ella. Yes, that’s Miles and Ella as in Miles Davis and Ella Fitzgerald. Georgie and Jack are jazz fans like me. I love other kinds of music too. At seventeen the wild man I married was a rock musician, and I was considering a career in opera or musical theater. There are six books in the Georgie Shaw series with a seventh—A Tango Before Dying—on the way! One of the great things about writing—as with reading—is that you get to live out lots of different lives. In some ways, Georgie Shaw’s life is a study in the path not taken. I’ve often wondered what it would have been like to stay with the Disney company and continue my work as a chef. In the Georgie Shaw series, I get to play that out that possibility almost as if I’d lived it. I also sometimes wish I had Jessica Huntington’s black AMEX card. I love extravaganzas and relish the way she’s able to treat her friends to lavish spa days, shopping trips, and luxurious vacations. Jessica Huntington was my first lead character in a series, so I have a soft spot for her. I also love Jessica’s surrogate mother, Bernadette, and as honestly believe: “We should all have a Bernadette in our lives.” She’s funny, resourceful, generous of spirit, and has a strong faith. Bernadette pulls no punches, though, and tells it like it is—the kind of loving and direct friend we could all benefit from if we had a confidant like her to use as a sounding board. Georgie’s boss “Mad Max Marley” is another favorite character. Like many of my characters, he’s a deeply flawed person. He’s also creative, dedicated to his work, and relentless in his pursuit of excellence. Small in stature, he’s larger than life, and still going strong in his seventies. I like characters who persevere in the face of adversity. In fact, that’s a common trait shared by the lead characters in all three series I’ve written. Jessica Huntington, Georgie Shaw, and Kim Reed [From the Corsario Cove Cozy Mystery series] are all “survivors.” That’s true for the female leads in the two new series I’m debuting this year. Oh, yes! Bits and pieces of real experiences appear in all the books I’ve written. For example, many of the Georgie Shaw stories feature versions of events that occurred while I worked for the mouse. Well, I’ve done lots of other things in my life and enjoyed many of them, but none of them more than writing mysteries. In addition to working as a chef at Walt Disney World, I earned a master’s in social work and spent about five years as a therapist while finishing a Ph.D. in social work and sociology from the University of Michigan. I worked as a research scientist for 25 years, writing grants, administering research, and conducting my research studies on policy, practice, and outcomes of treatment for alcohol, drug, and mental health problems. Much of that time, I was a professor at The Ohio State University. I taught courses at the university, too, so I’ve done lots of teaching. I also had a consulting practice that involved working with frontline staff trying to help people learn to solve problems overcome adversity. When Miriam Webster moves into the Hemingway Cottage in the Seaview Cottages active adult community, she brings a few secrets with her. Can she keep them after she and her spirited Dalmatian, Domino, discover the body of a beautiful young woman on Fitzgerald’s Bluff? The mystery takes a quick detour when Miriam and her friends return to Fitzgerald’s Bluff with Deputy Sheriff Darnell Devers in tow. The dead woman’s gone, but not for long. Where the body turns up is only one of the surprising twists the mystery takes for Miriam and her new friends. Convinced that the local Deputy Sheriff isn’t up to the task of finding a killer on the loose, Miriam and her gang of Grand Old Lady Detectives [G.O.L.D.] set out to discover the truth about A Body on Fitzgerald’s Bluff. Can they solve the case without becoming the killer’s next victim? You can find out now by buying the Summer Snoops and Cozy Crimes box set—a USA Today and Wall Street Journal bestseller! Or, you can grab the standalone copy in September. I enjoy hiking, reading, trying out new recipes to include in the books I write. I love to visit the Coast to spend a day or two at the beach. We’re only a few hours from LA and San Diego, where I grew up, so I enjoy visiting those cities and going to museums, theaters, zoos, botanical gardens, and touring historical venues. Some of my consulting included travel to other countries where I worked with agencies trying to evaluate and improve alcohol and drug treatment services. On one of those trips, one of my friends and I got chased by an enormous camel while we were out in the Arabian Desert. We had to run for it and jumped into the car right before he caught up with us. He still wasn’t happy and kicked the heck out of the car before our driver could get us out of there. I’m just finishing A Dead Cousin, book 5, in the Jessica Huntington Desert Cities Mystery Series. Jessica’s close friend, Detective Frank Fontana, is missing. He’s a good cop and a handsome, decent, standup guy. One of two new men in Jessica’s life, he’s rekindled hope that she might eventually take another chance on love. When Frank disappears shortly after the end of a tricky undercover operation, not everyone believes he’s a good cop. Jessica and her friends intend to find him, but they soon become entangled in a web of secrets and lies that make it hard to know who's on which side of the law. Is Frank a good cop gone bad or in the worst mess of his life? I’m also working on another new series set in California’s wine country. Lily’s Homecoming Under Fire, book 1 in the Calla Lily Mystery series that mixes mystery and romance, with a bit more suspense than the series I currently write. I can’t wait for readers to meet Lillian Callahan—Calla Lily to her beloved aunt. Lily’s surprised to learn that she’s inherited her aunt’s estate. Not everyone’s pleased about that, apparently, because when Lilly returns home to California’s wine country, bullets fly! Sparks fly, too, when handsome U.S. Marshal Austin Jennings steps in to help Lily find out who wants her dead! I'll release the book on November 13th as part of the Love Under Fire Romantic Suspense box set. It's one of 21 romantic suspense novels by bestselling and award-winning authors. Like the Summer Snoops and Cozy Crimes box set we just released, the Love Under Fire box set raises funds for charity. In this case, we’re aiming to raise money for the Pets for Vets organization. Before the end of the year, I also plan to release The Murder of Shakespeare’s Ghost, book 2 in the Seaview Cottages Cozy Mystery series, and A Tango Before Dying, book 7 in the Georgie Shaw Cozy Mystery series.